Another exceptional strain of this charming small multi-flowering species bred by Mr. Bear of the famed Bear Nursery in Taiwan using superior parents ! A hot to warm grower, it carries spikes of successively opening flowers occurring over a period of months beginning in late spring. Best grown in light shade or conditions similar to Phalaenopsis light and evenly watered year ‘round. 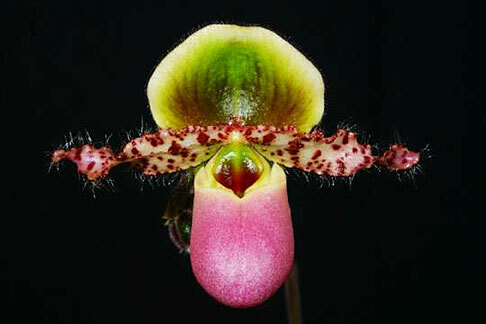 The perfect addition to any Paph. species collection for its small size and longevity of flowering !